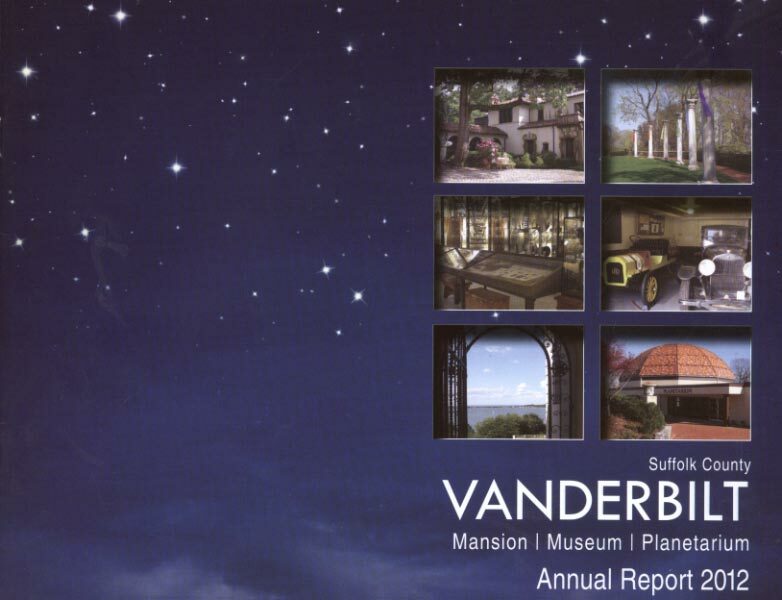 The sale of the 1937 Chrysler's Chrysler was highlighted in the Suffolk County Vanderbilt Museum Annual Report 2012. Merry Christmas and a Happy and Healthy 2013! 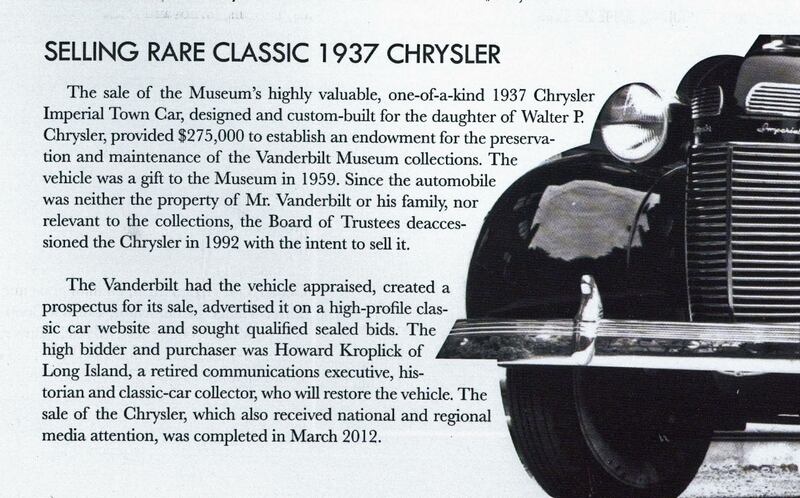 It helped the museum, and brought a wonderful car back to life and to the light of day! 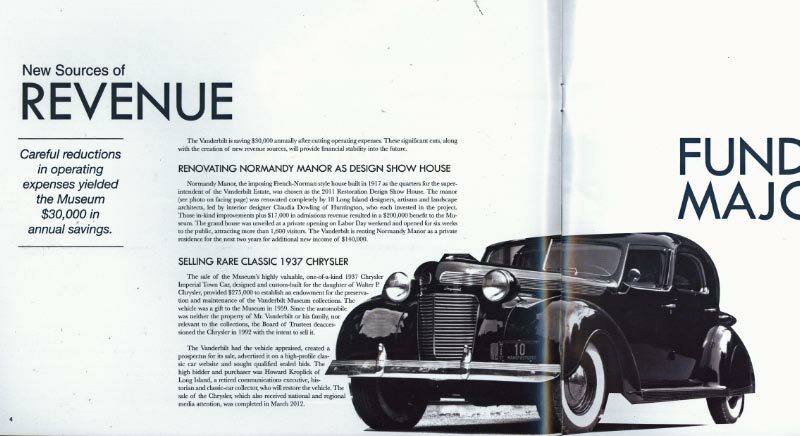 I think that Howard has helped many people see something very special in just a matter of months, and for that, all of us antique car collectors and buffs should give him our thanks! And not just for Chrysle’s Chrysler! ++++++++++++++++++‘THANKS FOR ALL YOUR INFORMATIVE E-MAILS THROUGHOUT THE YEAR. KEEP- UP THE GOOD WORK. And to all a very Merry Christmas & Happy , Healthy New Year!